Shelbyville ISD would like to thank all those who helped sponsor Project Graduation. 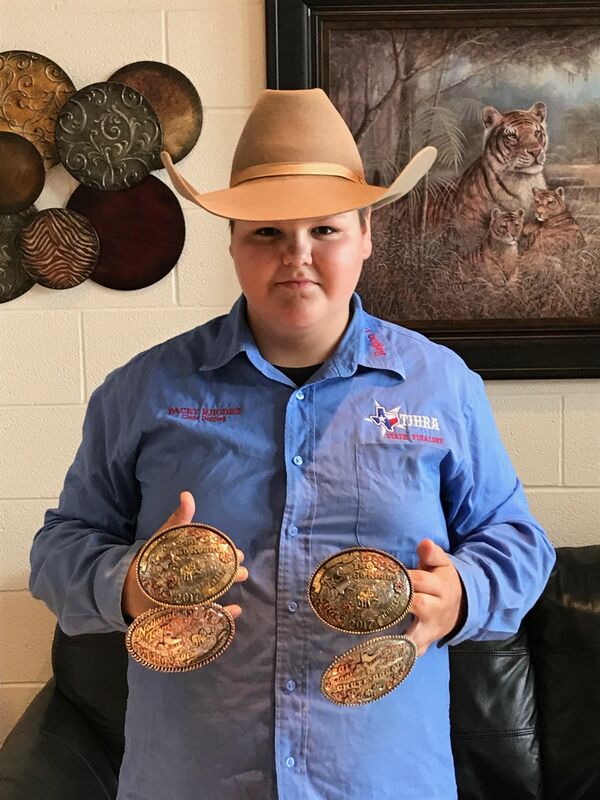 Tenaha student Pacey Rhodes, son of Heather and Robbie Rhodes, competed in the Texas State Junior High Finals this past week in chute dogging. Pacey finished 2nd in average time and 3rd place in points. His outstanding performances earned him the chance to compete in the National Finals in Lebanon, Tennessee the week of June 18-24. Teacher Spotlight – Mrs. Maria Milo is the Spanish teacher at Timpson High School. She graduated from Institute de Monterrey in 1987 with a degree in Industrial Engineering. She received her teaching certification from Stephen F. Austin State University in 2002 with certifications in secondary Spanish and ESL. Ms. Milo said what she enjoys most about teaching is to engage students with concrete hands-on activities to help her students create a schoolwide community of learning that integrates academics, social and emotional development and prepares each and every student to make positive contributions in school, work, and life. Her goal in the classroom is to create a positive, challenging, fun and energetic classroom that will motivate students to succeed. Mrs. Milo says, “For me to be a teacher is a dream come true because I myself am a product of someone whom I consider to be the best teacher in the world. I was inspired by wonderful teachers. They taught me that any dream was possible. These wonderful, inspiring people in my life have helped in my decision to become a teacher. It is a huge benefit to teaching to enjoy such a lively intellectual existence throughout one’s lifetime.” Mrs. Milo is a dedicated and caring teacher who has high expectations for her students and helps them achieve what they are capable of achieving. Several of her students have taken the Spanish Advanced Placement test. Passing this test gives students college credit without having to take the class. In the past Mrs. Milo sponsored the International Club and Fellowship of Christian Athletes. This year she sponsored the Junior class and the UIL academic Literacy Criticism Team. Mrs. Milo was also selected as a past Timpson High School Teacher of the Year. Mrs. Milo greets her students as they come into her classroom each day. She hopes to set a positive tone and create a classroom where each student feels they belong and are capable of success. She set high standards for herself because she realized she is a role model for students especially young women. If she inspires them to follow their dreams and get an education that will help them achieve those dreams then she is doing the job she was hired to do. She is also interested in being involved in future years in the STEM (Science, Technology, Engineering and Math) Academy that will provide opportunities for students in these demanding, high paying fields. Thank you Mrs. Milo for your desire to help students achieve. 2017 THS Scholarship Awards Program - The Timpson High School annual Scholarship Awards program was held Friday May 19. At the program $72,442 was presented to THS seniors. Attached is a list of the scholarships presented, the amount of the scholarship and the senior who received it. Congratulations to seniors who received scholarships. We greatly appreciate individuals, organizations and businesses who awarded these scholarships. We recognize and thank those who support the future of our students by investing in their education today. The Timpson Collegiate Center/Stem Academy is proud to announce that Congressman Louie Gohmert is coming to Timpson. The honorable Mr. Gohmert will be here June 1st in the High School Auditorium @ 3:00. The purpose of this visit is to inform the Congressman of the progressive approach our school district is taking towards education. Timpson ISD is aligned with the directives of Governor Abbott and Higher Education Commissioner Paredes and we hope to continue receiving support from Congressman Gohmert. Please come out and meet the Congressman and support our Collegiate Center/Stem Academy efforts. Timpson Collegiate Center/Stem Academy is proud to announce that we have been designated by TEA to become a STEM Academy district. A STEM Academy is a school district which encourages a passion for Science, Technology, Engineering and Math. The ultimate goal of STEM education is to encourage students to take an interest in STEM subjects at an early age. This should be beneficial to them when they enter the jobs market, and in turn it should benefit the greater economy. It is a simple definition with a straight forward goal. It is a very exciting time to be a BEAR!!! Timpson Collegiate Center/Stem Academy is proud to announce our STEM Leadership Team. These educators are part of our Science, Technology, Engineering, and Math (STEM) Leadership Team. This leadership team is committed to working many extra hours this summer. Our STEM team will be the foundation to developing a strong STEM academy here at Timpson ISD. This team is committed to working with SFA on the implementation and development of our curriculum, attending TEA's STEM conference in Houston, and days of professional development here in Timpson. Their extra efforts to develop a STEM program our students will thrive on and fall in love with is appreciated. Cindy Simmons, Tammy Owens, Stephanie Jamar, Hannah Ramsey, Bubba Carrington, Kristan Soloman, Phil Behrens, Gina Duke, Dee Elliott, Calvin Smith, Suzanne Tomlinson, Cindy Sessions, Teresa Jourden, Sabra Sessions, and Ronald Lindgren. Reminder: Timpson ISD Summer Feeding Program – Timpson ISD will have a summer feeding program May 30 – June 29 on Monday through Thursday. It will be in the Timpson Middle School cafeteria located on Bear Drive. Breakfast will be served from 7:30 a.m. to 8:30 a.m. Lunch is served from 11:00to 12:30. There is no cost for children through 12th grade. Adults may eat for $1.75 for breakfast and $3.50 for lunch. If you have questions about the summer feeding program, please contact Child Nutrition Director Ginger Lee at 936/558-4106. Timpson FFA Kids Ag Camp - Timpson FFA will be hosting an Ag Kids Camp for grades just finishing 2nd-4th at the Ag. Building, June 5th-7th, 2017. Students will be learning about agriculture and completing projects to be taken home at the end of the camp. Time: 8 a.m.to 1:00 p.m.
Only the first 20 applications to be turned in will be accepted. Broiler Poultry Show Entry - It is that time again! The Shelby County Poultry Festival Broiler Show entry is due by June 9th at the Agriculture Science Building or the High School office. The broiler show will be held on the square in Center, TX on October 7th. Chicks must be picked up at the distribution site. Date will be announced later. Entry forms are attached or can be picked up at any campus office. If you have any questions please feel free to contact either Mrs. Powers or Mr. Gaylord at (936) 558-4211 or kpower@timpsonisd.com<mailto:kpower@timpsonisd.com> or bgaylord@timpsonisd.com<mailto:bgaylord@timpsonisd.com>. THS Physics News - Students from Coach Sessions’ 5th Period Physics class poses with their roller coasters that each team designed & built to accommodate a large and small marble. The designs had to include at least one loop and one turn that would safely allow each marble to roll down the coaster without falling off the rails. This activity demonstrates the relationship between mass of an object, force, acceleration, & energy as well as the conversion of a marble’s potential energy to kinetic energy as t travels down the roller coaster. Also, Sabra Sessions and Cindy Sessions were selected to present at the TRC Conference this summer in Austin at the end of June. They will present a lesson on Physical/chemical Change using recycle 6 plastic to math and science teachers from all over the state of Texas. Staff Spotlight – Mrs. Octavia Lampkin is a custodian for Timpson High School. She has worked at Timpson for the past fifteen years. She has worked on all three campuses during her time at the district. Custodian may be her official job title but she does so much ore. Mrs. Octavia as we all call her serves as decorator, advisor and volunteer. Mrs. Octavia and her sister Mrs. Velma decorated the teacher’s workroom in a coke theme using much of their own things. The teachers enjoy their workroom so much because Mrs. Octavia and Mrs. Velma created a place that is enjoyable to bin in. Mrs. Octavia also often advises students on their behavior and choices they make. As she did with her own children she tells them the choices they make today will affect their future. She works to build relationships with students so that they will listen to her and come to her if they need help. Mrs. Octavia is also a volunteer. She often helps the staff with things that are beyond her job description. One of the things she enjoyed the most was being a band mom. She rode the bus on all their trips, was responsible for checking students to ensure they wore all required parts of their uniform and that they were safe on the trip. Mrs. Octavia really enjoys working with the THS staff. She says it really is like one big family that works together to support each other and the students. She says she likes the atmosphere in the high school and describes it as a pleasant place to work. Mrs. Octavia takes her job seriously and has great pride in the work she does. Taking care of building with 20 teachers and 150 students is challenging but it is challenge she and Ms. Velma meet. Walking down the halls of GHS, you see clean orderly classrooms, and inviting hallways. Making the high school seem like a second home for students and staff. Mrs. Octavia takes extra time to be sure the high school is a building staff and students can be proud of and is safe and clean. We appreciate all Mrs. Octavia does for THS including her sweet smile and her kind personality and her desire to give her best in service to others. The Joaquin Lady Rams Softball team defeated the Woden Lady Eagles last night by a final score of 3 - 1. Graduation Parking – Due to construction, the Timpson High School parking lot will be partially closed during graduation. The elementary parking lot and gates will be open to the gym. The middle school parking lot will be open and gates will be open to the gym. Handicap parking will be accessible at the Timpson Middle School. Both middle school and high school graduation will be in the THS gym. If it is raining, umbrellas will be a must. Some sidewalks do not have covers from elementary. You may still park in the open portion of the high school lot but you will have to walk around the front of the construction area. There will be staff situated for assistance. Thank you for your patience while we work through the construction process. Teacher Spotlight – Mrs. Suzanne Tomlinson is a math teacher at Timpson High School. This year she teaches Algebra I and Algebra II. She has taught in Timpson for 17 years. Mrs. Tomlinson’s favorite part of her job is working with the students. In fact that is why she insisted on taking her picture with students. They are why she does what she does. She stands at her door each period and greets each student who enters her classroom with a hello and big smile. She wants each student to know they are welcomed in her classroom. She is also great at building relationships with students that reflects her belief in the quote, “Students don’t care how much you know until they know how much you care.” Mrs. Tomlinson’s classroom is fast paced and lively which helps keep students focused and interested. She involves students in the lesson to ensure they are understanding the skills she is teaching. She has changed math students’ attitudes toward math from a subject they found difficult and boring to one they understand and find interesting. She incorporates a variety of strategies into her presentation using technology, hands on activities and ways to give “real life” lessons that require math skills in order for students to apply what they learn to their everyday life outside the classroom. She makes every effort to be the kind of teacher she would want for her own son, Cash, a Timpson Elementary School second grader. Mrs. Tomlinson has been a class sponsor and enjoys being a UIL Academic Coach. She is also a past Shelby County Chamber of Commerce Secondary Teacher of the Year. Thank you Mrs. Tomlinson for your energy, dedication and support to our students. TES Awards – At the Timpson Elementary Awards night they following students received an award for called the Bear Award. The Bear Award is given to students who are hardworking, exhibit good citizenship, and are well behaved. Receiving the Bear Award is an Outstanding accomplishment. As part three of its 2017 Concert Series, First United Methodist Church in Center presents in concert the band Watlington, Peppard, Shelton, and Scott. The group of veteran musicians will lead praise and worship, present original material, and provide audience-interactive musical comedy this Saturday night at 7:00 pm in the FUMC Fellowship Hall. All four of the musicians are familiar to local audiences. Vocalist and keyboardist Chris Watlington is a native of Center. He teaches at CHS, directs music at FUMC, and has various responsibilities as a radio personality at Center Broadcasting. Guitarist and vocalist Spence Peppard performs in churches all over east Texas while working as a recording specialist and studio musician in Nacogdoches. He and his family own and operate Peppard Motor Company in Nacogodoches. Bass player Bill Scott is a product of North Texas Music School where he was bassist in the 2:00 Jazz Band. For three years, Bill was a music teacher and choir director at Center Intermediate and Center High School. This year’s 8th, 9th, and 10th graders will remember Mr. Scott. Drummer Jeff Shelton has performed in several local churches. He is a teacher and director of the drum line at Grace Community School in Tyler, but he began his teaching career at Center High School which is where he and Watlington met. From 1994 until 2007, the four musicians were part of the Gary Ritchey Band (GRB) which recorded three CDs and were working on a fourth when Ritchey, the lead singer, moved to San Antonio. The band performed locally at First Baptist Church but over its 14 year career together, GRB played in eight states in concerts ranging from youth groups of a dozen to state conventions with attendance in the tens of thousands. After Ritchey relocated to San Antonio, the members of the group have developed diverse resumes, playing with artists and groups ranging from Kacey Lansdale, Tom Houston, Ray Price, Jerry Jeff Walker, Rance Mosely, Al Denson, Broadmoor Baptist Church, Park Cities Baptist, Green Acres Baptist, and Miranda Lambert. When the band has played together, it is usually under a different name every show. From its days as GRB, the group specializes in a variety of music and styles. It also enjoys hearing its audience laugh. Peppard has been working with Danny Paul Windham in the studio for his upcoming recording project. Peppard is playing almost every part in the studio, so he is very familiar with Windham’s music. As a result, Danny Paul will be a guest performer with the band, debuting some of the recorded material. Saturday’s performance may be the band’s last for awhile. Scott has retired from teaching and is a full-time touring performer whose duties keep him away from east Texas more than in the past. Shelton is a first call studio performer in the Tyler area. And Peppard has gotten so busy as a studio and live performer for artists in Nashville, that he and his family are moving there this summer. Despite the humor and the opportunity to perform with Shelby County original Dr. Windham, the band’s mainstay is contemporary pop and rock, both concert material and praise and worship. Third Game: 30 minutes following Game 2 if necessary. All Games will be played at Tatum ISD. All passes accepted. The camp will promote basketball fundamentals, competitiveness, and teamwork. The camp will include a camp T-shirt, promote fundamentals, competitiveness, and teamwork. Joaquin Girls Defeated Cross Roads 5 - 0 go Lady Rams! The Joaquin varsity softball team has a neutral playoff game vs. Woden on Saturday, May 27.
would like to come check out books. Sophomores Michalla Byrd and Hannah Ewing will represent the Joaquin High School Ram Band at the UIL State Solo and Ensemble Contest in Pflugerville, Texas next weekend. Michalla Byrd qualified for state in twirling. Michalla has been a JHS Majorette since her eighth grade year, and is currently the Head Twirler. She is the daughter of Terri and Michael Joe Byrd. Hannah Ewing qualified for state on her flute solo. She has been a member of the Joaquin High School marching band since her seventh grade year, and is currently the band's drum major. Hannah is the daughter of Tami and Stephen Ewing. position on July 5, 2017.
procedures in the academic and technical areas. Notice is hereby given that in accordance with 34CFR 300.573, Joaquin Independent School District intends to destroy the records of all students who exited from any special education program prior to and during the 2004-2005 school year. Any student, or former student, who has reached 18 years of age, may review and/or receive these records by contacting the Special Education Department at (936)269-3258 X 239 and scheduling an appointment by July 30, 2017. Destruction of these records will begin August 30, 2016. According to federal law, parents and guardians lose their right to review or obtain these records when their child (the student) reaches 18 years of age or starts attending a postsecondary institution, whichever occurs first. However, a parent of a child with a disability who is 18 years of age or older may retain parental rights provided that the child has been determined to be legally incompetent or legally incapacitated. Upon review, a copy of any information contained in the record will be provided to the parent/guardian or eligible student. Once an appointment is scheduled, the record will be held for review for ten days after the appointment date. If an appointment is not kept or if the appointment is rescheduled, the file will be held for 10 days from the last scheduled appointment. If no student, parent or guardian responds to this public notice, the school district will assume consent to destroy the entire record specific to the student. In accordance with federal and state laws, special education records are maintained for five years after the student exits the special education program. A permanent record of the student’s name, address, phone number, grades, attendance record and year completed is maintained in perpetuity. 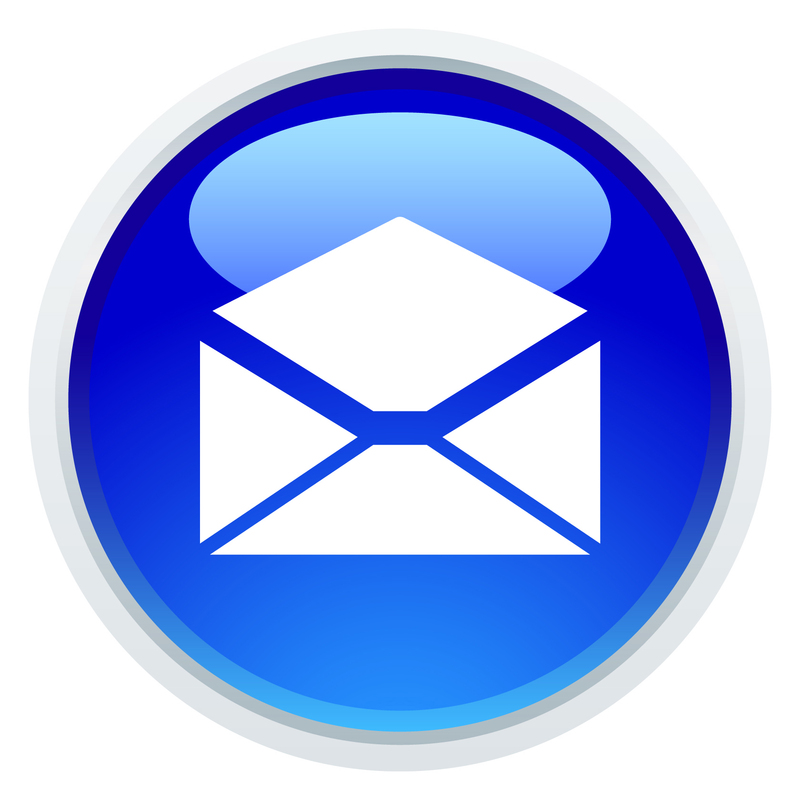 The purpose of destruction is to protect the student from improper and unauthorized disclosure of the confidential information contained within the file. Please note that certain records may be needed by the student, parent or guardian for social security benefits or other purposes. Timpson Memorial Day Program – Timpson American Legion Post 90 and Timpson ISD will present a Memorial Day program to remember those military men and women who sacrificed their lives in service to our country. The program will be Monday, May 29, 2017 at 10:00 a.m. held at the Timpson Plaza. Servicemen from Timpson who were killed while serving their country will have their names read aloud in tribute to their sacrifice. Gold Star families will be recognized by Post 90 1st Vice Commander James Cope. Commander Penhallegon will be the speaker. Taps will be played at the end of the program. Everyone is invited to attend this program as a way to remember those who made the ultimate sacrifice for our country. Expression of Sympathy – The faculty, staff and students of Timpson ISD wish to express our sympathy to the family of Shelbyville student Victor Lee. We also extend sympathy to the Shelbyville ISD faculty , staff and community for this loss that impacts all who knew this young man. You will be in our thoughts and prayers. THS Bear of the Year – Jordan Osby was selected as Timpson High School Bear of the Year. 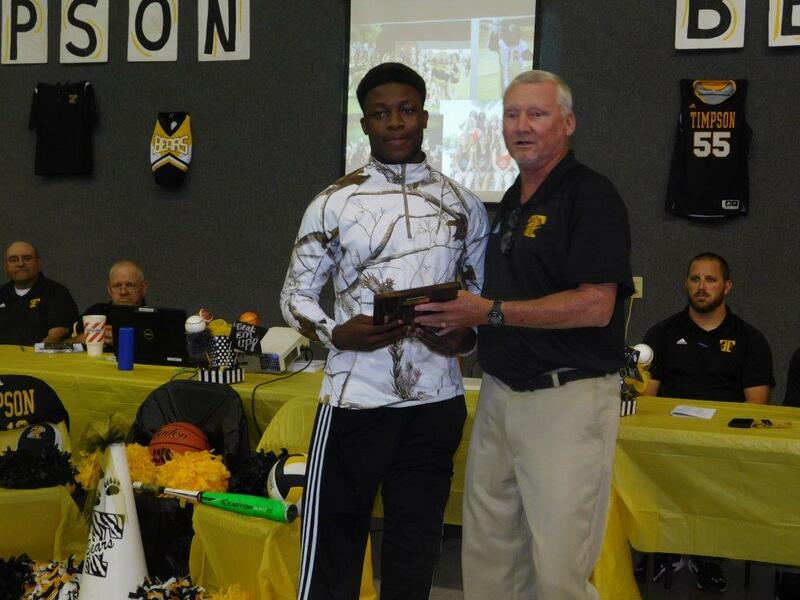 He was presented a plaque at the Timpson Athletic Banquet. Jordan was selected as First Team All-District Offense, First Team All-District Defense in football. In basketball he received Second Team All-District. 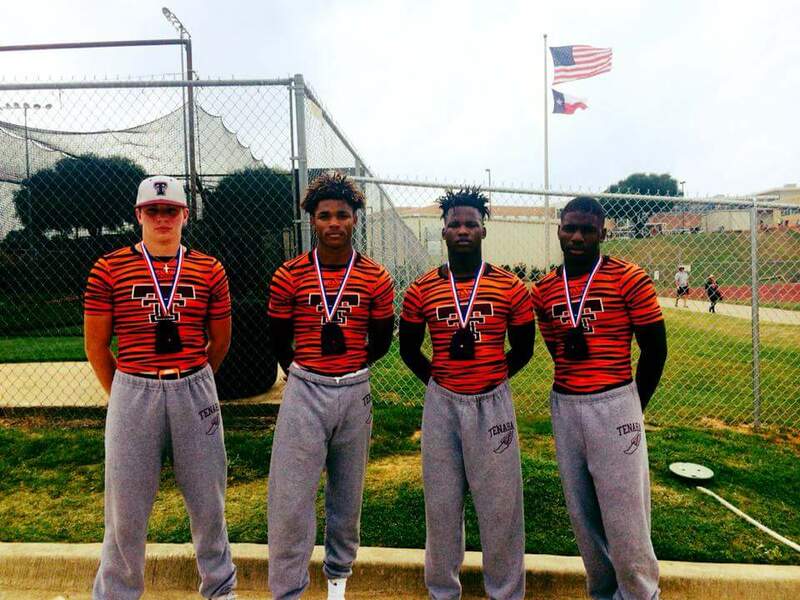 Jordan was a track area qualifier in the 4X100, 4X200, 200M and triple jump. Congratulations Jordan! Teacher Spotlight – Ms. Brenelsa Williams is the third grade reading/language arts teacher at Timpson Elementary School. She has worked in Timpson for the past 20 years. What she enjoys most about teaching is working with the students and helping them learn and grow in their knowledge. The excitement students feel when they have been able to master a new skill is a real blessing to Ms. Williams. Ms. Williams strives to not only build reading skills but also wants her students to develop a true love for reading. She has a small library of books in her room so that students will always have access to plenty of books to read. Ms. Williams knows that reading is an essential skill for school success in all subject areas as well as a lifelong skill that students will one day use in their careers as well as bringing enjoyment to their personal lives. Ms. Williams encourages her students to try their hardest and to do their best work while at the same time teaching them the skills necessary to reach the goals she sets for them. Ms. Williams is a firm disciplinarian but with her beautiful smile and easy manner students have the opportunity to thrive in a positive learning environment. Her state assessment scores reflect that student are mastering the skills necessary to be successful. We appreciate Ms. Williams for all you do to encourage and support your students. Maria Palacios – THS Senior Maria Palacios has been accepted to Panola College. She will major in nursing. Amanda Yates – THS Senior Amanda Yates has been accepted to Panola College. She will major in agricultural leadership. Mamie Taylor – THS Senior Mamie Taylor has been accepted to Panola College. She plans to major in dietetics. Darian Hutto – Darian Hutto has been accepted to Stephen F. Austin State University. She will major in nursing. Hortencia Jimenez – THS Senior Hortencia Jimenez has been accepted to Stephen F. Austin State University. She will major in computer science. Kimberly Lewis - THS Senior Kimberly Lewis has been accepted to Stephen F. Austin State University. She will major in nursing. Holly Hughes – THS Senior Holly Hughes has been accepted to Texas State University. She will major in nursing. Cutter Smith – THS Senior Cutter Smith has been accepted to Texas State University. He will major in construction engineering. Aislyn Kimsey – THS Senior Aislyn Kimsey has been accepted to the University of Texas in Tyler and will major in nursing. Timpson ISD Summer Feeding Program –Timpson ISD will have a summer feeding program May 30 – June 29 on Monday through Thursday. It will be in the Timpson Middle School cafeteria located on Bear Drive. Breakfast will be served from 7:30 a.m. to 8:30 a.m. Lunch is served from 11:30 a.m. to 1:00 p.m. There is no cost for children through 12th grade. Adults may eat for $1.75 for breakfast and $3.50 for lunch. If you have questions about the summer feeding program, please contact Child Nutrition Director Ginger Lee at 936/558-4106. The winner of the Shelbyville Dragon Band's raffle was Ricky Lout of San Augustine, TX. Lout won a 50 inch Sanyo LED Screen television, and also a Sony Blu-Ray Theater System with 5.1 Surround Sound. The Dragon Band would like to especially thank Shelby Savings Bank for donating the TV and surround system for the raffle. Without their generous donation the raffle would have never happened or been a huge success. Center ISD is Now accepting Transfers for the 2017-2018 School Year. For more information call 936-598-5642. Tenaha ISD will have a School Board Meeting today at 5:30 p.m.
Congratulations, and welcome to the Tenaha Bands' winning tradition! 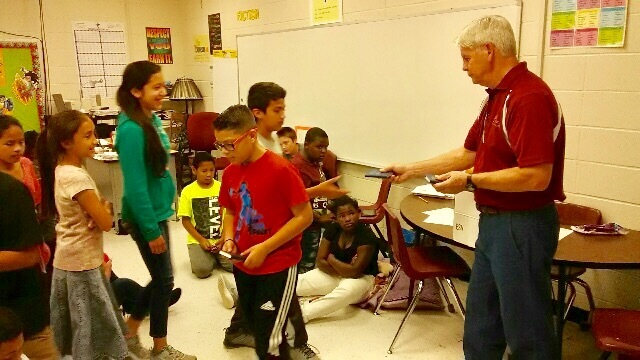 Mr. Don Dial handing out Gideon Bibles to our 5th Graders. 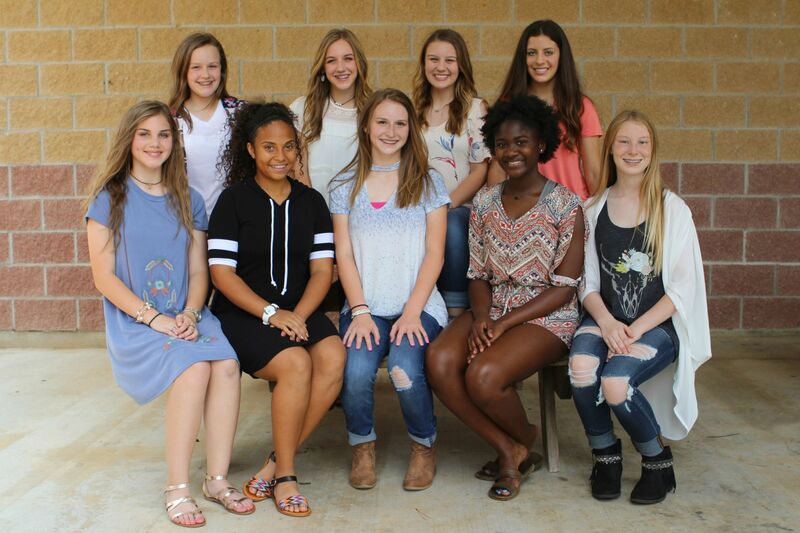 The Joaquin varsity softball team has a playoff game vs. Cross Roads in Malakoff, TX on Saturday, May 20. 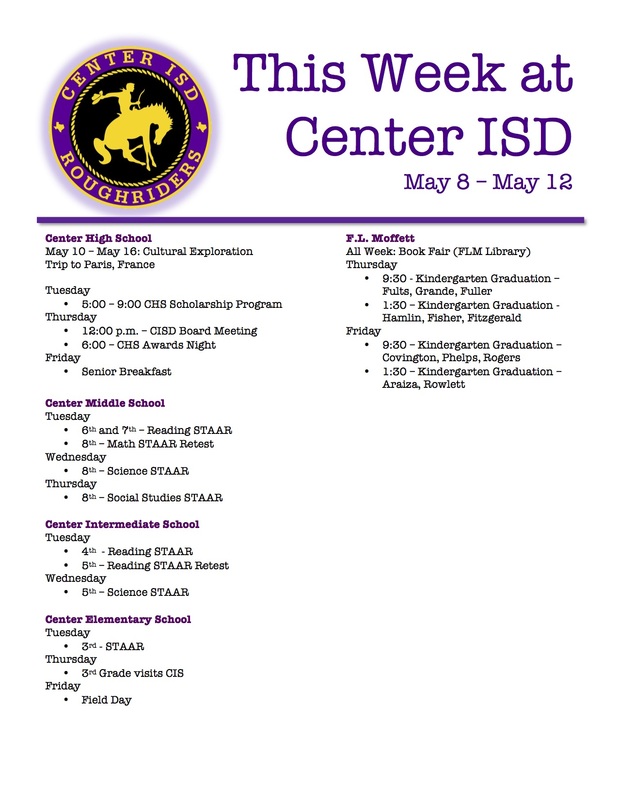 A regular meeting of the Board of Trustees of Center Independent School District (CISD) was held on Thursday, May 11, 2017 beginning at 12:00 p.m. at Center High School Library located at located at 658 Roughrider Drive in Center, Texas 75935. James Greer called the meeting to order at 12:00 p.m. and declared a quorum. Tammy Lemoine gave the invocation and Cheyenne Byrnes led the Pledges of Allegiance. Matt Gregory introduced the 2017 UIL State Champion in Traditional Animation from Center High School, Morgan Ray. The Board was treated to her film. Matt Gregory introduced the sponsors and coaches as they presented the CHS students and their achievements beyond District competition. The programs recognized: Academics, Band, FFA and Sports. A motion was made by Traci Willoughby, seconded by Daphne LaRock to approve the consent agenda consisting of the minutes from the regular meeting on April 13, 2017 and the special called meeting on May 1, 2017, Investment Report (April 2017); Tax Collection Report (April 2017); Financial Reports (April 2017); payment approvals over $50,000 and Overnight Student Activity Trips. A motion was made by Matthew Mettauer, seconded by Casey Lout to authorize Administration to solicit proposals for Construction Manager at Risk on Urgent Needs Project. The Board received information/costs to retrofitting a school bus for the band program. The Board reviewed the information that they had received from Mr. Smith, Band Director regarding cargo trucks. A motion was made by Traci Willoughby, seconded by Allison Johnson to authorize Administration to purchase a new box truck for up to $80,000 for the band program. James Greer called for a closed session at 1:01 p.m. under Texas Government Code §551.074 and §551.072 for consideration of employment of contracted personnel, resignation/retirement, extended emergency sick leave and real property. The Board returned into open session at 1:42 p.m. No action was taken in closed session. 10.1.1 A motion was made by Traci Willoughby, seconded by Daphne LaRock to accept the resignations/retirements as recommended by Superintendent Hockenberry. 10.1.2 A motion was made by Traci Willoughby, seconded by Matthew Mettauer to approve the employment of personnel as recommended by Superintendent Hockenberry. 10.1.3 There were no extended emergency sick leaves to be considered by the Board. 10.1.2 There was no action to be taken on real property. A motion was made by Traci Willoughby, seconded by Matthew Mettauer to adjourn the meeting at 1:44 p.m.
LUFKIN – As weather turns warmer, TxDOT workers and contractors are busy with construction and maintenance projects throughout the nine county Lufkin District. Various locations: Crews will work to patch driveways, apply herbicide and repair signs. FM 343: The road is being pulverized and crews are placing flexible base, cement treating the roadway and priming the surface that will reconstruct and widen the pavement from the Cherokee County line to FM 225. US 59: Crews will continue to replace the northbound bridge rail on Piney Creek North and upgrade metal beam guard fence in various locations from US 287 to the Neches River. FM 356: Crews will continue working on embankment and storm sewer on the west side of the roadway on this project designed to reconstruct and widen the pavement with a two-way continuous left turn lane and 10-foot shoulders from 1.1 miles north of US 190 to US 190. Carmona Road: Crews are scheduled to continue approach work to the newly constructed Rock Island bridges and right of way preparation has begun at Brushy Creek Bridge. The project is designed to replace the bridges and approaches. CR Old Highway 35: Work is scheduled to complete approaches and guardrail work should begin in coming days on this project designed to replace a bridge and approaches at a tributary of Long King Creek. Kickapoo Creek: Culverts have been replaced on County Roads Revia and Wells Landing on a project that is designed to replace bridges and approaches on CR Revia and Wells Landing Road at Kickapoo Creek. US 190: Work will continue as right of way is prepared at culvert ends and guardrail upgrades continue. This project is designed to safety treat fixed objects from the Walker County line to the Polk County line. FM 1127: Work is scheduled to remove culverts and place safety ends on this project designed to safety treat fixed objects from US 59 to the end of the pavement. FM 3128: Crews are scheduled to rehabilitate the roadway in various locations. City of Coldspring: Ramps on Church Street are complete with rail scheduled to be installed. Construction of the ramps around the courthouse is underway on this project designed to construct ADA accessible curb ramps within the city. FM 230: Crews are scheduled to begin work on cross structures in the City of Trinity and work westbound to the Walker County line. This project is designed to safety treat fixed objects from the Houston County Line to SH 94. SH 21 East: Daily lane closures should be expected as work continues installing driveway pipe and upgrading culverts on a project designed to safety treat fixed objects from just inside SL 304 to 2.5 miles south of FM 1733. SH 21 East: Crews will perform level up in various locations from FM 3187 to FM 227. SH 21 West: Crews will work to remove concrete and undercut the eastbound lane. Detours and lane closures should be expected through this construction project designed to reconstruct pavement and add passing lanes from 2.3 miles east of FM 2967 to SH 7. SH 19: Work is scheduled to clean out existing culverts on a project designed to safety treat fixed objects from SH 7 to 1.6 miles north of FM 231. SH 19 South: Work is scheduled to repair base and seal edges from Loop 304 to Spring Mar Road. SH 7 East: Work is scheduled to mill and texture pavement near the Shelby County Airport. FM 3151: Crews will work to place flexible base and begin cement treating on a project designed to reconstruct and widen the pavement from FM 1280 to FM 230. FM 227: Work is scheduled to shape the slopes of the newly constructed bridge at Hickory Creek and Hickory Creek Relief on a project designed to remove and replace the existing bridges and approaches. FM 227: Crews will continue to prepare the right of way and begin extending cross culverts on a project designed to reconstruct and widen the pavement and safety treat fixed objects from just east of CR 1685 to SH 21. FM 2022: Crews will work in a convoy to place overlay on the roadway from FM 2663 to FM 2423. Mission Tejas State Park: Crews will install signage that will complete project construction of a new entrance road and parking lot to the visitor’s center. US 96: Crews will begin placing hot mix in northbound lanes, cement treatments continues on the northbound side of the roadway, and the prime coat will begin to be placed. Traffic is shifted to the proposed southbound lanes in this project designed to add passing lanes and reconstruct the pavement from the Shelby County line to FM 3451. SH 21: Substructures are being constructed and embankment is being placed at Venado Creek and Perkins Creek on a project designed to replace both bridges and approaches. FM 705: Crews continue to upgrade culverts on this project designed to safety treat fixed objects from SH 147 to 2.5 miles south of FM 83. US 84 Sabine River Bridge: Crews will place sod through the project and begin preparations to set signage on the project that replaced one existing bridge with two bridges at the Sabine River between Texas and Louisiana. FM 415: The bridge foundation at Bear Creek Bayou is being constructed in a project designed to replace the bridge and approaches. FM 417: Crews are scheduled to continue pulverizing pavement, placing cement and priming the roadway on a project designed to reconstruct and widen the pavement from SH 87 to FM 139. CR 4256: Work is scheduled to set guardrail at Flat Fork Creek on a project that replaced bridges and approaches at this tributary of Flat Fork Creek and on CR 4670 at McFaddan Creek. CR 4020: Crews have placed beams for the new bridges at Bear Bayou and on CR 4293 at the tributary of Flat Fork Creek. Work is scheduled to begin on the access road to Toledo Bend Reservoir on a project designed to replace off-system bridges at the creek tributaries and the lake access road. US 96: Work is scheduled to repair road base in various locations. FM 1: Crews are establishing vegetation on a project designed to provide additional paved surface width from SH 184 to SS 1. Freshman Jared Tovar was awarded the Patriotic Art Contest winner from VFW Post 8904. He received a framed certificate and a $50.00 check for his hard work. 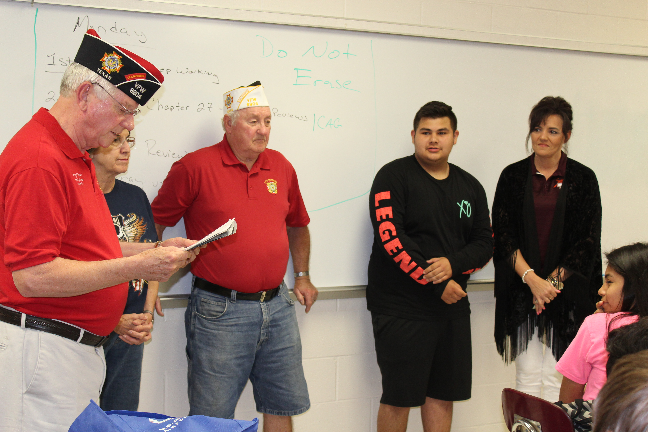 Left to Right: Larry Hume, Cynthia Islas, Gene Hutto, Jared Tovar, and Principal Linda Jacobs. Mr. Gene Hutto presents Jared Tovar with his certificate. May 15th- Mr. Chad Cargill will be on campus regarding ACT preparation from 8:30 a.m.-11:30 a.m. The cost is $30 for students. If we have students who are seriously interested but have a lack of financial means, we can help them out. Sign-up sheets are outside of Mr. Richardson's and Mrs. Metcalf's room. We need a minimum of 60 students. Mr. Cargill took the ACT 18 times and increased his test scores from a 19 to a 32. June 1st- We are excited to announce that the Honorable Louie Gohmert is coming to Timpson ISD to visit with us about our Collegiate Center program. Governor Abbott and Commissioner of Higher Education Raymund Paredes are encouraging school districts to graduate high school students with an Associate’s Degree or a Certification. Governor Abbott has an initiative that charges school districts to graduate students with certifications which are consistent with the needs of East Texas business and industry. Commissioner Paredes has implemented 60 x 30TX, (which requires 60% of HS graduates to have earned postsecondary credentials by the year 2030.) Timpson ISD and its Collegiate Center are dedicated to achieving these directives of Governor Abbott and Commissioner Paredes. However, the financial requirement of these initiatives is of concern to our small school district. We have applied for 5 grants and have several more in the works. We want Congressman Gohmert to see first-hand the success our students are having, the partnerships we have formed with local businesses, and our commitment to offering our students an Associate’s Degree and/or technical certifications. We haven’t received an answer to any of our grants but we are hopeful that with Congressman Gohmert’s support our district will receive funds that will help this endeavor continue to flourish. The bill we feel most fits our needs is S. 718 Making Education Affordable Act. We would like to invite the Timpson ISD staff, parents, and students to meet the Honorable Louie Gohmert on June 1st at 3:00pm in the High School Auditorium. Ty’Kuirra Bryant – Ty’Kuirra Bryant has been accepted to Panola College. She will major in primary education. Chase Clepper – THS senior Chase Clepper has been accepted to Panola College and will major in construction technology. Trevor Duke – THS senior Trevor Duke has been accepted to Panola College. Currently his major is undecided. Deundria Jackson – THS senior Deundria Jackson has been accepted to Panola College. She will work toward a Licensed Vocational Nurse certification. Tyler Morris – THS senior Tyler Morris has been accepted to Panola College. His major is general studies. Faith Parks – THS senior Faith Parks has been accepted to Panola College. Her major will be computer science. Jeremy Wagstaff - THS senior Jeremy Wagstaff has been accepted to Panola College. His major is kinesiology. Alexus Wallace – THS senior Alexus Wallace has been accepted to Panola College. Her plans are to become a medical assistant. Destiny Yarborough – THS senior Destiny Yarborough has been accepted to Panola College. She will work toward earning a Licensed Vocational Nurse certificate. Dustin Oswalt – THS senior Dustin Oswalt has been accepted to Panola College. His major is kinesiology. Congratulations and best wishes in the future to the THS graduating seniors. 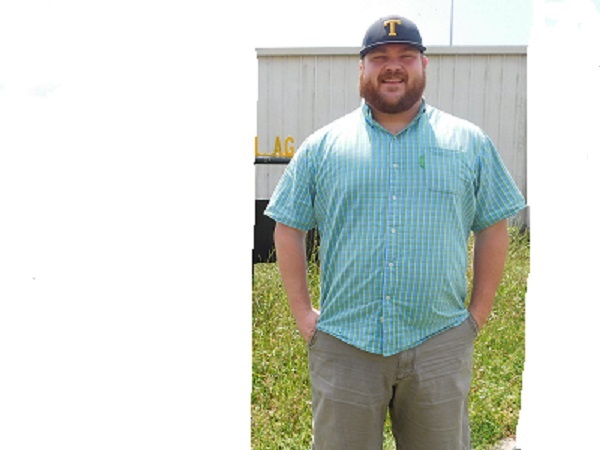 Teacher Spotlight – Brett Gaylord teaches agriculture science at Timpson High School. This is his first year in Timpson. Working with the students and seeing them succeed is what he likes best about his job. Mr. Gaylord is very involved in the FFA projects and shows. He works with the stock show animals and judging teams. He enjoys working with the students in these areas because it gives students a strong work ethic, teaches them responsibility and gives them skills they can use now and after graduation. Mr. Gaylord said he wants to help continue to build the ag program and is excited to get to be a part of developing the career center that will focus on getting students the skills, licenses, certifications and training students need to be job ready upon graduating from high school. We appreciate Mr. Gaylord and his dedication to building our career center and giving students skills that they can use for a lifetime. Notice is hereby given that on the 15th day of May 2017 the Board of Trustees of the Joaquin School District will hold a regular meeting at 6:00 p.m., at the Administration building, Joaquin, Texas. The baseball game was postponed due to bad weather last night in the seventh-inning. The Dragons are tied 1-1 in the top of the seventh and will complete that game today before the regularly scheduled game two at 7:30 p.m. The Joaquin varsity baseball team has a playoff game vs. Groveton on Saturday, May 13. 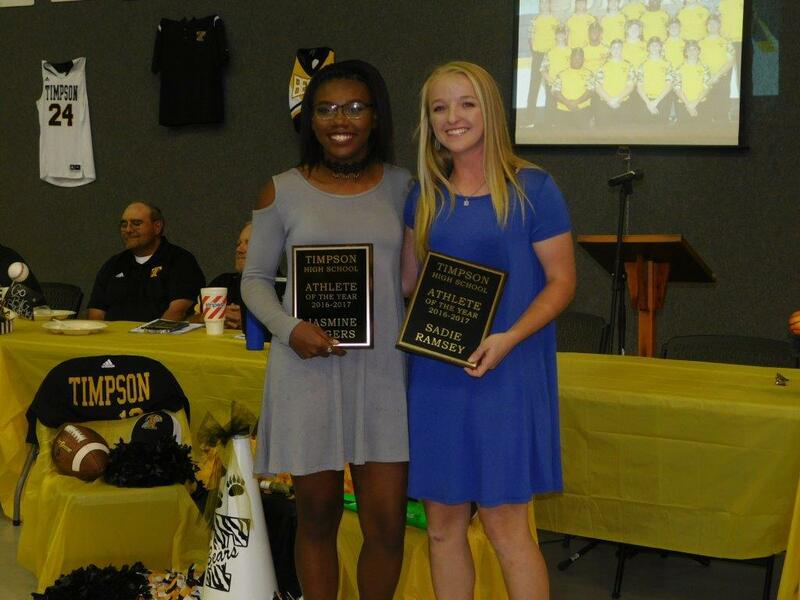 Lady Bear Athletes of the Year – Two Timpson High School athletes were chosen as Lady Bear Athletes of the year. 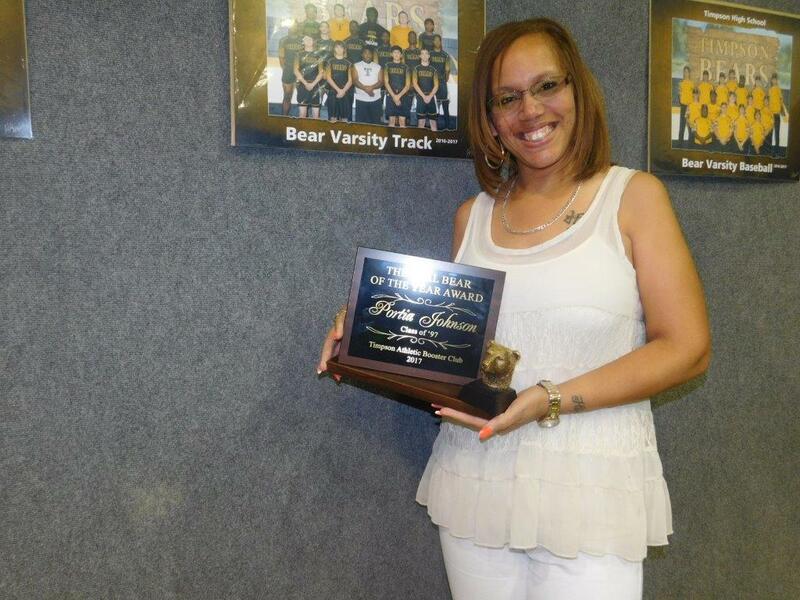 Jasmin Rogers, a junior, was chosen as Lady Bear Athlete of the Year. Jasmine competed in cross country, volleyball, basketball, softball, and track. Jasmine received First Team All-District in volleyball and basketball. She was also a Regional Qualifier in four events in track. Sadie Ramsey, a freshman, was chosen as Lady Bear Athlete of the Year. Sadie competed in cross country, volleyball, softball, and track. Sadie was Regional and State Qualifier in cross country and a Regional Qualifier in the 800M run. THS senior Jamelious Gentry has been accepted to Angelina College. His major is currently undecided. THS senior Cheyanne Porter has been accepted to Jaksonville Baptist University. Her major is sonography. THS senior Cedesha Curtis has been accepted to Kilgore College. She will major in child development. THS senior Jose Mejia has been accepted to Kilgore College. He will major in industrial maintenance. THS senior Marc Carroll has been accepted to Panola College. His major is paramedics. More senior news will be in the Thursday and Friday Bear Update. Congratulations and best wishes to these seniors. Teacher Spotlight – Cindy Bush is the special services teacher for Timpson Elementary School. She has worked for Timpson for 22 years. She said, “Watching my kids learn and grow is the best part of my job. Sometimes the smallest gains are the biggest celebrations.” Mrs. Bush has coached Academic UIL maps, graphs and charts for a number of years. She also helps take care of the Box Top program for TES which brings in additional funds for student activities and instructional supplies. She also helps with school dances, the Christmas play, the awards ceremony as well as many other projects. “A truly special teacher is very wise, and sees tomorrow in every child’s eyes” is a quote that could well apply to Mrs. Bush. She does her best to insure that each of her students will have the skills to reach any goal they set for themselves. In her classroom she works with students on their individual needs so that they can be successful. She is also quite protective of her students and often “goes to bat” for them to ensure they are treated with the respect, care and guidance that all students deserve and need to be successful. Mrs. Bush sees tomorrow in every child’s eyes and she strives to help all their tomorrows be ones of achievement, success and happiness. TES Principal Bubba Carrington said “TES was blessed when Mrs. Bush chose to accept a special education position and throughout the last 22 years she has served with distinction in various capacities for our district.” Principal Carrington went on to say that Mrs. Bush believes that education is one of the most important aspects of a person’s life and that all students are capable of learning. She also feels, as a teacher, that it is her job to instill a desire for lifelong learning as well as a desire for her students to grow as individuals. Mrs. Bush and her husband Todd have three children: Maggie, Katie and Tyler who are all Timpson High School graduates. Mrs. Bush is very active in the Timpson community and is always willing to lend a helping hand to others. She is also an active member of Good Hope Baptist Church in Timpson and is presently teaching a Bible study class for elementary students. Real Bear Award – “Good teams become great ones when the members trust each other enough to surrender the me for the we.” We often think of teams as those who play on a field, a court, on a track but if you look around this room tonight you see a team.. Like the twelfth man at Texas A&M, you see C.T. Simpson, Beverly Tippett, Mama Bears, Board of Trustees, parents, teachers, administrators and coaches stand ready to help Timpson’s athletes in any way possible. Those who attend games, work in the concession stand, coach, play, donate are all part of the Timpson Bear Spirit Team – proof that “alone we can do little – together we can do much.” You rise up for our Bears! Tonight we honor one member of the Timpson Bear Spirit Team. Woody Allen once said, “80% of success is just showing up.” Our Real Bear shows up a lot. She rises up to be where she is needed. Beverly Tippett says this person is at nearly every Timpson sporting event to support and cheer on the Bears – not just for her own children but for all children. How important is just showing up? It is one of the most important things a person can do. All you have to do is look at our young athletes looking into the stands to see if there is someone there – watching them – cheering for them – supporting them –someone to say well done when the game is over. Our Real Bear does this faithfully and for all the right reasons – to support our athletes. She rises up! As a 1997 Timpson High School graduate she understands Bear Pride from the inside out. She bleeds Black and gold. While watching Timpson sporting events she is “loud and proud” – wanting all Timpson athletes to know she is there for them. You can see the pride and gratitude in an athlete’s face when they hear someone cheering for them. Our Real Bear is the definition of a Mama Bear because she is the Mama for all the Bears. Cheering just as loud for all our athletes as she does for her own children, Jaden and Jaidah. As an outstanding student herself when she attended THS, she encourages all young people – work as hard in the classroom as they do on the athletic field. Booker T. Washington said, “If you want to lift yourself up, lift up someone else.” Lifting up others is something our Real Bear does naturally and for all athletes with her giving spirit great energy and beautiful smile she rises up. Our 2017 Real Bear is Portia Young Johnson. The SFA Charter School will host a Scholastic Book Fair Monday through Friday, May 15-19, in the Janice A. Pattillo Early Childhood Research Center. The fair will be open daily from 7:30 to 8: 30 a.m. and from 2:30 to 3:45 p.m each day. For more information or to request an alternate time to view the fair, contact Amy Mooneyham, charter school accounting clerk III, at (936) 468-5899. Watch Track & Field Championships LIVE on the NFHS Network! Watch on your phone, computer, tablet, or Apple TV. The Tournament will be held on June 10th at Lake Sam Rayburn from 6:00 a.m . - 2:00 p.m.
A few extra Beta Shirts are available if you missed out on the first order. 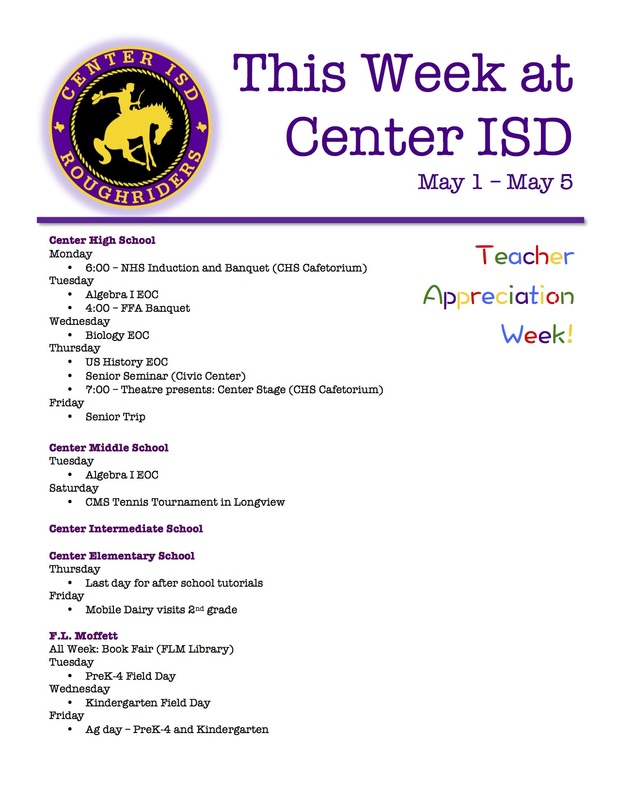 Contact sommer.herndon@centerisd.org if you would like one. $20 each. diffuse better in. Of course the no fat won! Stephen F. Austin State University College of Fine Arts and the University Series will present Taylor 2 Dance Company at 7:30 p.m. Thursday, Sept. 14, in W.M. Turner Auditorium on the SFA campus. A younger sibling to the Paul Taylor Dance Company, Taylor 2 brings the work of the modern dance world’s leading choreographer to life on Turner Stage. This spectacularly warm, gracious and daring dance company yields a more intimate creation that delivers the same emotional knockout that Paul Taylor has become known for worldwide. Stephen F. Austin State University College of Fine Arts and the University Series will present the Annie Moses Band at 7:30 p.m. Tuesday, Dec. 12, in W.M. Turner Auditorium on the SFA campus. Experience the beauty of “Christmas with the Annie Moses Band” as the acclaimed ensemble performs stunning arrangements of holiday favorites, bringing Juilliard-honed chops to Nashville-styled music-making in a captivating blend of folk and classical. The band's innovative sound has delighted audiences from jazz aficionados to bluegrass buffs on PBS and on stages as diverse as Carnegie Hall and the Grand Ole Opry. Teacher Spotlight – Kay Dawson teaches English at Timpson high School. She has taught for over 40 years with the last 3 at THS. She has retired twice but has returned both times to the classroom, because she enjoys teaching, working with the students and enjoys her coworkers. She said the Timpson high School staff is a great team that works together for the benefit of the students and appreciates the leadership and support THS Principal Ron Lindgren provides all his staff. Ms. Dawson has high standards for her students both in academics and behavior because she believes a part of her job is preparing them for college and careers. She stays up to date on the most current curriculum and instructional methods while at the same time teaching her students grammar, punctuation, spelling, sentence structure, research skills , reading comprehension and classic literature – all skills students need to not only pass the state assessment tests and college entrance exams but are also skills they will use for a lifetime. Ms. Dawson often displays her students’ best work on the wall outside her classroom. She believes students should be encouraged to do their best work and hopes to motivate and allow students to be proud of the work that others get to see. Ms. Dawson is the proud mother of three children: Jimmy Wilkinson, Holly Soape and Jeff Wilkinson. Ms. Dawson said her three children have done much to make her proud but the greatest thing they have done is to make her a very proud grandmother! She strives to teach her students with the same high expectations she had for her own children because she understands the positive value a good education has on students for a lifetime. Thank you Ms. Dawson for your encouragement, support and high expectations that you have for students. THS Senior Honor Banquet – Ten high school seniors were recently honored at the annual THS Senior Honor Banquet. Five students attending the banquet were chosen because they ranked in the top five in their class. Five other seniors were voted on by teachers in PreK-12 to attend the banquet based on the student’s good conduct, involvement in extracurricular activities, community involvement and attitude. Each student chose an honored teacher to the banquet along with their parents or adult serving in the parent role. The banquet was held at Stephen F. Austin State University. Mrs. Sherri Strahan decorated the banquet room in a formal style to reflect the significance of this important event in the lives of the honored student. After a wonderful steak dinner, each student and teacher spoke about the impact each had made on the other’s life. Congratulations to the honored students, the honored teachers and parents. College News – Molly Sanford, Timpson High School senior, has been accepted to the Physical Therapist Assistant Program at Blinn College in Bryan, Texas. Congratulations Molly! and gathering input for the preparation of the application for funding. Involvement in JISD is exemplary. must comply with federal program requirements. The Shelbyville varsity baseball team has a playoff game vs. Lovelady on Saturday, May 13. The Joaquin varsity softball team has a playoff game vs. Big Sandy on Saturday, May 13. Teacher Spotlight – Gina Duke is the sixth grade math teacher at Timpson Middle School. She has worked in Timpson for eleven years. In an effort to make math skills more fun for students and easier to master, Mrs. Duke uses a variety of instructional methods including hands on activities. She also makes an effort to apply math skills to real life situations so that students will understand that math skills are a part of their every life. What Mrs. Duke likes best about her job is that she loves her students because they are so diverse and have amazing personalities. Mrs. Duke was cheerleader sponsor for 10 years. She also serves as a UIL academic coach. Mrs. Duke and her husband Jacob have been married for 20 years and have two children Sara and Seth who attend Timpson ISD. Mrs. Duke is a Timpson High School graduate and went on to graduate from Stephen F. Austin State University. She and her family are also very active in Mt. Olive Baptist Church. Timpson Middle School Principal Calvin Smith said Mrs. Duke is the perfect teacher for sixth grade students because of her caring and compassionate attitude helps students make a successful transition from elementary to middle school. Mr. Smith said her use of technology in the classroom is helpful not only in creating interest in students who have grown up using technology but also helps Mrs. Duke address the individual needs of her students. She is careful to assess student needs and then builds her curriculum and instruction based on the needs of the students. Mr. Smith said,” The instructional techniques Mrs. Duke uses are working as reflected in the students’ math scores on the STAAR test where the percentage of sixth graders passing the STAAR test is higher than the state average.” We thank Mrs. Duke for her kindness, caring and dedication to meeting the needs of our students. Teacher Spotlight – Beverly Tippett is the Timpson High School business teacher. She teaches keyboarding, business information management and principals of business. She has taught for 44 years and remains in education because she truly enjoys her job, has a passion for teaching and likes working with her students and co-workers. What she likes best about her job is the students in her classes and the fact that the skills she is teaching them will be very beneficial to them later in high school, college, career and in everyday life. Mrs. Tippett is an active member of Timpson Missionary Baptist Church where she serves as church secretary. She has two children Kristy Lemmon and Dr. Clint Tippett who are both Timpson High School graduates. She is the proud grandmother of her four grandchildren, Linzy, Landry, Carter and Carson. Mrs. Tippett has always been active in extra-curricular activities over the years serving as cheerleader sponsor, junior class sponsor, and UIL academic coach. For the past few years she has been actively involved in the Timpson Athletic Booster Club. She enjoys working with the athletic booster club because they are able to raise money to purchase items for the athletes and athletic program that they otherwise might not be able to obtain. Mrs. Tippett has been chosen as THS Teacher of the Year and is often chosen as an honored teacher by students who are chosen for the THS Senior Honor Banquet. Mrs. Tippett strives to stay current in her teaching field that is rapidly changing. When she started teaching she had 10 manual and 10 electric typewriters in her room. Now all her classes are taught using a computer. She stays current on the latest technology and teaches it to her students so that they will be able to use it while in school and when they go into the job market. Mrs. Tippett is a dedicated and caring teacher who always has a smile for her students. She encourages students to strive to do their best and works hard to give them the skills needed to be successful. Other teachers often rely on her for support and advice based on her many years in the classroom. We appreciate Mrs. Tippett for her dedication to the students, teachers and community of TISD. Rusche College of Business graduate students in the Society for Advancement of Management recently placed first in the graduate division during the annual Council for Advancement and Support of Education competition held in Orlando, Florida. SFA's undergraduate team finished third in its division. The first-place graduate team comprised Jennifer Nicely, Robyn Davis and Lauren Rose, who are all accounting majors enrolled in SFA's Master of Professional Accountancy program. Nicely also received Outstanding Regional SAM Student as well as National Outstanding SAM Student. INTERESTED IN SHOWING POULTRY FESTIVAL CHICKENS? 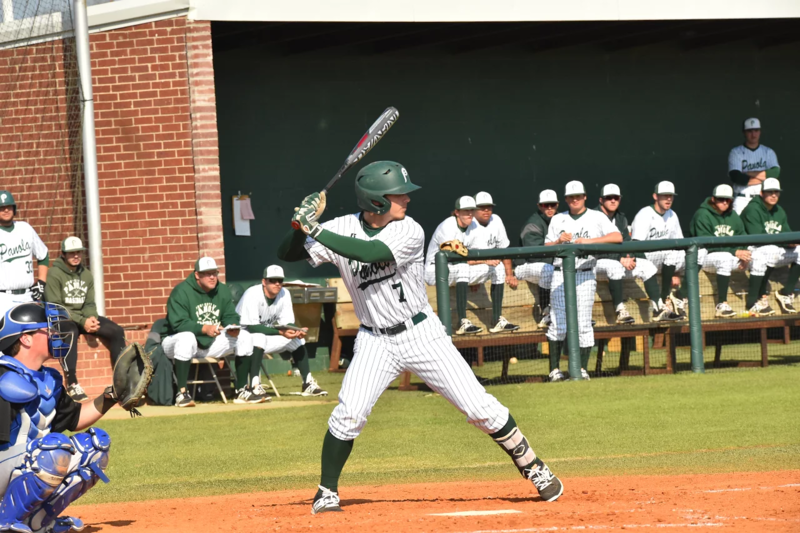 Panola had trouble keeping up with Navarro in a 9-3 loss on Thursday. Navarro captured the lead in the first inning. fifth Walker homered off of Kyle Rogers, driving in three runs. came thanks to a double by Williams and a double by Salazar. surrendering four runs, five hits, striking out four, and walking one. first inning and a home run by *Andrew Pace* in the second inning. driven by a single by *Julian Flores* and a double by *Colby Price*. one run, five hits, and striking out four. Panola College Spring 2017 didn't commit a single error in the field. Boulware* had the most chances in the field with five. Austin Blakeley hit a sacrifice fly to drive in a run. inning Menchuck drove in one run when he doubled. single by *Christian Boulware*, and a home run by Bailey. innings, giving up five runs, nine hits, and striking out four. inning and Bailey homered in the fifth inning. collected multiple hits for Panola. The Center varsity baseball team lost Saturday's away playoff game against Kilgore by a score of 2-0. The Shelbyville varsity baseball team won Saturday's playoff game against Colmesneil by a score of 7-2. The Joaquin varsity baseball team won Friday's playoff game against Chireno by a score of 30-1. The Joaquin varsity softball team won Friday's playoff game against West Sabine by a score of 6-3. Sun. May 7 – Baccalaureate @ First Baptist Church @ 6:00 p.m. (Seniors wear cap & gown). Fri. May 19 – Senior trip to Waco – Leaving school @ 7:30 a.m. Sat. 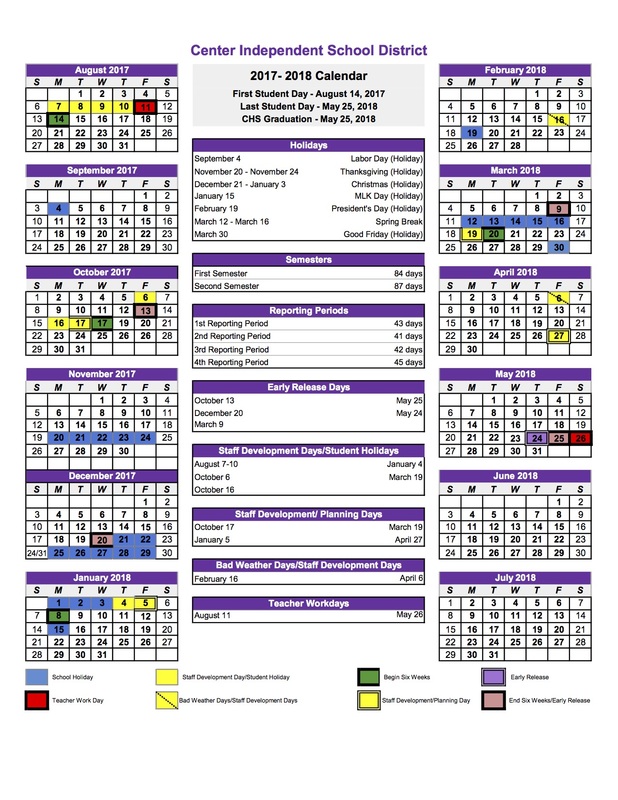 May 20 – Junior/Senior Prom @ Eagle’s Nest in Garrison @ 8:00 p.m.
Fri. May 26 – Senior Breakfast @ 9:00 a.m.
------------------------ HS graduation @ 8:00 p.m.
Timpson High School Band Earns Straight First Division Ratings - On Wednesday, April 26 the Timpson High School Band competed at the UIL Region 21 Concert and Sightreading Contest held at Troup High School. The band earned a first division rating from all 6 judges at the contest! The Timpson Band is directed by Rhonda Daniel and John Dupnik. Both directors are very proud of the students’ hard work this year and look forward to the bands’ effort and success in the coming years. Thanks to all of the parents, band boosters, and the faculty and staff of Timpson ISD for supporting this band program! Biology Boot Camp - The Timpson High School Biology Boot Camp met after school on Monday, May 1st and Tuesday, May 2nd from 3:30 - 6:30! Teachers Teresa Jourden and Jerrie Strahan were preparing students for the biology end of course exam using hands on activities to review learning skills. We appreciate the dedication of the students and teachers for giving their own time to prepare for this important test. Teacher Spotlight – Mrs. Dee Elliott is the seventh and eighth grade math teacher at Timpson Middle School. Mrs. Elliott said, “I have been at Timpson Middle School for 12 years. I love teaching math and would never think of teaching another subject. Seeing the growth of the student’s from one year to the next is amazing. Student’s grow up so fast and change so much during the summer. It is fun to watch them mature through the years. I love to see my past students and see what they are now involved in.” She went on to say, “I believe one of my favorite things, is to show the students that “this too shall pass.” The student’s will not stay this age, they will go on to become adults and they can choose their own path. I wish more students had confidence in accomplishing the things that they are dreaming of.” Mrs. Elliott is a UIL academic coach. She said, “I love helping out with UIL. I coach math and calculators. My calculator teams always place in the competition. I was so proud to see my past calculator teams who are now in high school, do so well in their calculator competition this year. Congratulations to them.” Besides being busy in the classroom she also stays busy in her personal life. She said, “I have been married to my husband Marty for 23 years. We have two grown children and four grandchildren. My husband and I have attended Holly Springs Baptist Church for about 5 years. I help out every Wednesday with the Children’s ministry and I love helping with Vacation Bible School.” Mrs. Elliott is a truly dedicated teacher. She has high expectations for her students and she does her best to help them master the skills to meet those expectations. She often stays after school to tutor students. Many days she gives up her lunch break to work with students. She and her students’ hard work pays off with her math students traditionally scoring higher on the STAAR state assessment test than the state average. She credits he students for this success but her principal Calvin Smith said it is her hard work, dedication to her students and her ability to build confidence in her students that play a big part in students’ success on the test. Mrs. Elliot’s ultimate goal is to have students prepared for high school math classes and hopes that much of what students learn can be used by them in college, the workforce and in their personal lives. We thank Mrs. Elliott for her dedication to the students of Timpson High School. There will be a Joaquin School Board Meeting on May 10th at 12 noon. five longtime employees Mrs. Karen McClellan, Dr. Barbara Cordell, Mr.
thanked them for their many years of dedicated service. Freddy Mason honored for 23 years of service with Panola College. Ann Boland honored for 27 years of service with Panola College. This year’s 12X12 scholarship fundraiser of the Friends of the Visual Arts at Stephen F. Austin State University will be at 6 p.m. Saturday, July 15, in The Cole Art Center @ The Old Opera House in downtown Nacogdoches. The silent auction bidding, which begins June 27, features 12-by-12-inch works of art created by approximately 70 artists from Nacogdoches, Lufkin and other areas of East Texas. The Cole Art Center is located at 329 E. Main St. For more information about 12X12, call The Cole Art Center at (936) 468-6557. The Stephen F. Austin State University School of Art and the Friends of the Visual Arts will present a free, one-night screening of the Academy Award-winning Disney Pixar film “Inside Out” at 7 p.m. Friday, July 7, in The Cole Art Center @ The Old Opera House in downtown Nacogdoches. Directed by Pete Docter and Ronnie Del Carmen, “Inside Out” is an inventive animated film that takes the audience on a journey to discover the “emotional roller coaster ride inside your head,” according to information at movies.disney.com. Shelbyville High School is honored to announce Halie Lavergne as the 2017 recipient of the Smith-Hutson Scholarship. The Smith-Hutson Scholarship seeks to provide opportunities to students, who otherwise may not have a chance to earn a baccalaureate degree, the financial means to do so. For 21 years this scholarship program, established by an anonymous donor, has been awarding financial assistance to over 250 students. Recipients awarded have the opportunity to receive up to $17,500.00 per academic year, with the potential of $70,000.00 total for their entire college educational cost. Halie Lavergne was among 500 students nationwide who applied for this scholarship. The 500 was narrowed down to an elite 30 candidates who were invited for an interview. Following the interview Halie was notified that the scholarship selection committee had chosen her as their 2017 Smith-Hutson Scholarship awardee. Halie plans to attend Stephen F. Austin and major in Elementary Education. This is a monumental award, and Shelbyville is proud of Halie for her efforts, dedication, and leadership. Halie is paving the way for her peers and demonstrating again, what hard work, effort and never giving up can accomplish. We are so proud of you Halie; go out into the world and shine! The Summer Stage Festival is slated for June 27 through July 15 in W.M. Turner Auditorium and the Downstage Theatre on the Stephen F. Austin State University campus. For performance dates, tickets or more information, visit www.finearts.sfasu.edu or call (936) 468-6407 or (888) 240-ARTS. Teacher Spotlight – Learning to Do, Doing to Learn, Earning to Live, and Living to Serve…Just as the FFA motto says, Kristin Powers has a never-failing commitment, enthusiasm and drive to impact the future of every student. Mrs. Powers has been an agriculture science teacher at Timpson High School for three years. Her teaching experience ranges from Agriculture Mechanics, Livestock Production, Advanced Animal Science, Horticultural Science, Floriculture, Equine Science and Wildlife Ecology. She also teaches at Stephen F. Austin State University in the Fall. 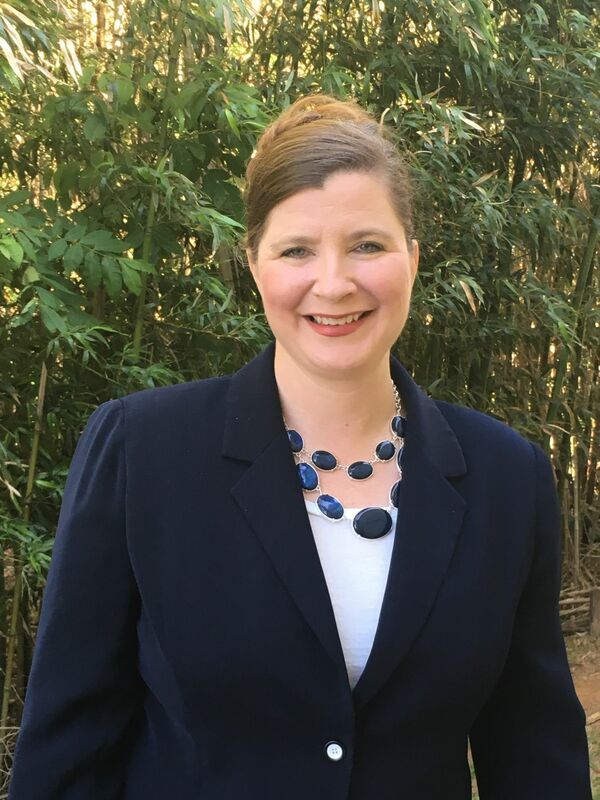 She teaches future agricultural science teachers the record book system students use to obtain awards and degrees and required professional standards for the teaching profession. Mrs. Powers works to make each of her courses real and relevant. She knows she is successful when the students take ownership and drive the curriculum rather than her. She loves her job, our students and the Timpson community. One of the moments in her teaching career that she is most proud of is teaching in her father’s agricultural classroom; where she was taught to love agriculture and the FFA. This philosophy has led the Timpson agri-science program and FFA chapter to be successful at numerous levels. Some of her students’ accomplishments this year include training a state qualifying Dairy Cattle and Horse Judging Team, Soil and Water Conservation District Tractor Driver winner, Area Dairy Foods, Poultry and Floriculture, Greenhand and Senior Creed Speaking, Greenhand Skills Team, Job Interview Greenhand Quiz and Farm Radio. This year at Pineywoods District Convention she had three District Speakers advance to Area. She has also encouraged and helped students to apply for student awards consisting of three American Degrees, Lonestar Degrees, Star Awards and Proficiencies. Beyond awards, however, the program at Timpson stands out for its unwavering commitment to the local community; this is exemplified by numerous community service projects and volunteer hours by members of the Timpson agri-science program. Her commitment and professionalism serve as a model and mentor to students and peers across the state. Her unselfish dedication has meant success for many lives and changed futures. Her ultimate goal as an agriculture science teacher is to see student learning and success during and beyond high school We appreciate the many hours and hard work Mrs. Powers dedicates to her students. 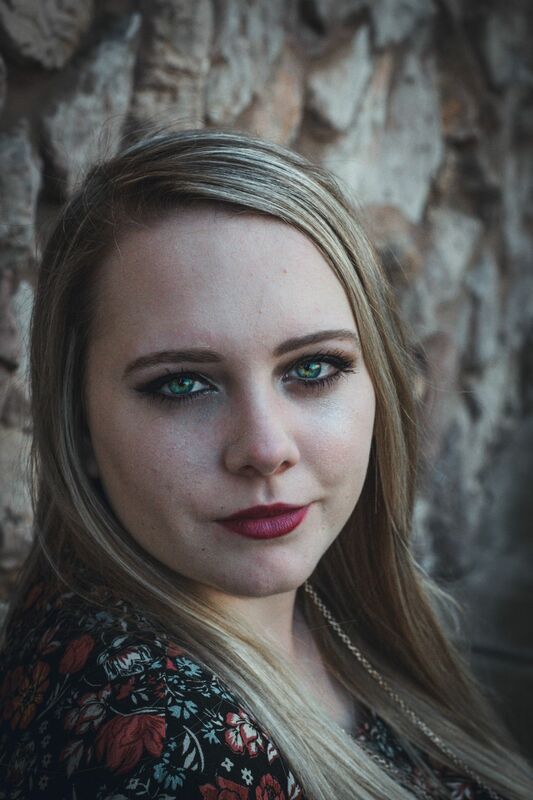 Beta Club Scholarship – Molly Sanford was recently notified that she is one in ten Beta Club members in the state of Texas to receive a Beta Club scholarship. Only 289 scholarships are awarded to Beta Club members in the nation. Molly is a senior at Timpson High School and an active Beta Club member. Mrs. Tina Samford is the Beta Club sponsor and is so very excited and proud of Molly for this outstanding achievement. Molly is the daughter of Melanie and Rusty Sanford. Teacher Spotlight – Kristan Solomon is the sixth grade English Language Arts Teacher at Timpson Middle School. She has worked in Timpson ISD for 10 years. Mrs. Solomon is one of those unique teachers who has taught successfully in high school as the English and Spanish teacher, in elementary as first and second grade teacher and now is in her third year teaching middle school. What Mrs. Solomon likes best about her job is the relationships she builds with her students. She loves celebrating their successes in all they do including sports, academics, band, etc. She also truly enjoys working on the middle school campus and the campus atmosphere of staff working together in support of the students and each other. Mrs. Solomon says she really enjoys coming to work everyday because of the people that she works with and the students. Mrs. Solomon is also active in extra-curricular activities including middle school and high school twirler sponsor, UIL reading coach and UIL writing coach. Timpson Middle School Principal Calvin Smith said,”Mrs. Solomon puts in the time to prepare her curriculum and instruction so that she can meet the individual and diverse needs of students in her classroom. She regularly assesses her students to determine their mastery of learning skills so that she can focus her instruction on the specific needs of her students.” Mr. Smith says she has the attitude that every child who comes into her classroom is her own and treats her students like she would want her own children treated. She and her husband Mark have three children Kaden, Kallie and Kaston. Thank you Mrs. Solomon for your hard work and dedication to ensuring our students learn the skills needed to be successful. The Roughriders will face the Kilgore Bulldogs this weekend in Round 1 of the Texas state playoffs. Game 1 will be in Center at the Horseshoe Friday night, first pitch at 7:00 with Game 2 following Saturday at 1:00 in Kilgore. If Game 3 is necessary, it will begin 30 minutes after the conclusion of Game 2. All three games will be carried on local radio 100.5 fm. Pre-game begins at 6:45 for Game 1 and 12:45 for Game 2, featuring interviews with Coach Spann and with players Tyler Fountain on Friday and Dalton Alexander on Saturday. 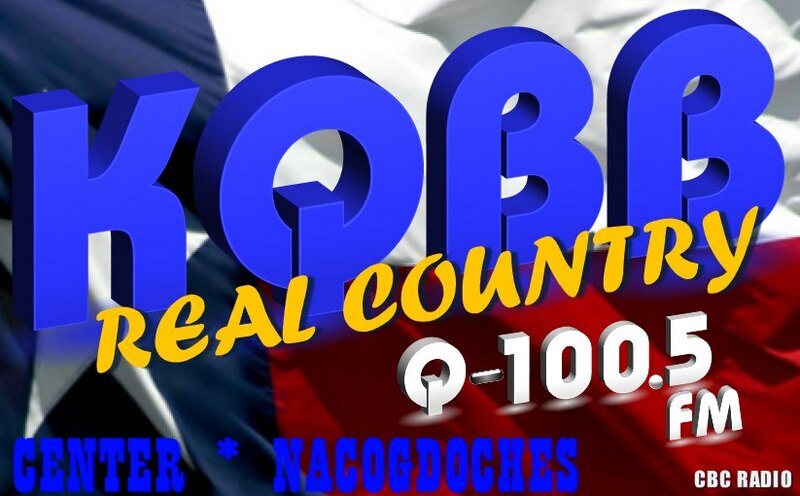 KQBB is excited to be a part of the Roughriders' continuing winning tradition this season. The Stone Fort Museum will host a pop-up concert featuring SFA's Tuba-Euphonium Ensemble from 1 to 2 p.m. Friday, May 5, at the Stone Fort Museum on campus. The concert is the second in a series of pop-up events and part of the Stone Fort Museum’s Inside-Out project, an outreach program designed to pique interest in the museum’s exhibits and encourage students and community members to come inside. The concert is free and open to the public. For more information about the museum, its exhibits or the Inside-Out series, contact Carolyn Spears, museum curator, at cspears@sfasu.edu. Sophomore Captain Denasia Watson signed her letter of intent to continue her basketball career at Wiley College. Watson was the most efficiant player for the Fillies this year. She was the vocal leader for the team and a key instrument in the success on and off the court. "I am beyond proud of the work this young lady has done these few years at Panola" stated Head Coach Eddie Kite. He added "she has really improved and I look forward to her continued success at the next level". Watson played in all 31 games, starting 30, and averaged 6.2 points per game, and brought down 4.3 rebounds per game as well. She had a career high in points dropping 22 against Louisiana College and against Bossier Parish CC she grabbed a career high of 11 rebounds. Watson will be joining a dominant team at Wiley College that finished 22-7 on the season. Tenaha Bands Earn Sweepstakes & Make History! The Tenaha middle school band performed on April 19th, and received a division one superior rating on the concert stage, and a division one superior rating in sight-reading. 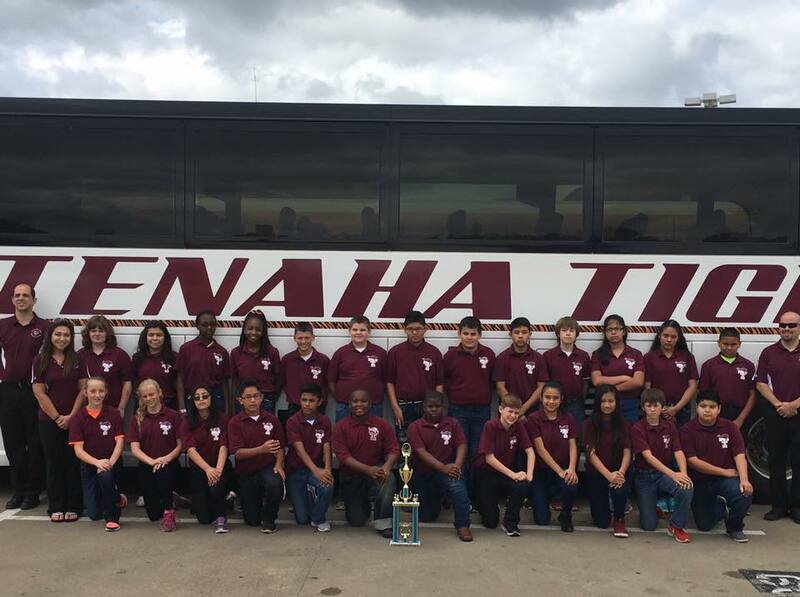 This means that the Tenaha middle school band earned the UIL Sweepstakes Award for the first time in history! This is not just a historic accomplishment for the Tenaha school district, but it’s a rare accomplishment for any 2A/1C middle school band. Furthermore, out of 30 plus middle school bands that went to contest in region 21 south zone, only five middle school bands received a sweepstakes. 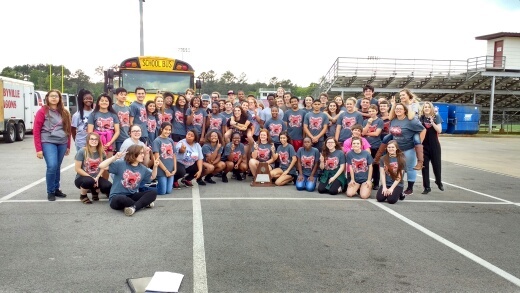 The Tenaha high school band performed one week later, on April 26th, and received a division one on both the concert stage and in sight-reading for the fourth straight year. These ratings, in addition to a division one during marching season, means the high school band also earned a UIL Sweepstakes Award. Tenaha was one of only four 2A high school bands to earn a full sweepstakes award. The Stephen F. Austin State University School of Art and the Friends of the Visual Arts will present a free, one-night screening of “Bombs to Birds” at 7 p.m. Friday, June 2, in The Cole Art Center @ The Old Opera House in downtown Nacogdoches. A documentary by award-winning photojournalist Richard Michael Pruitt, "Bombs to Birds” explores the rich history of the Caddo Lake National Wildlife Refuge and the controversies in trying to protect it. Designated as a Superfund site by the EPA in 1990, little progress has been made to clean the original fouled acres and they remain closed to the public to this day. Rangers, Astros and Lumberjack fans alike can double up on team pride in June when SFA is featured during the Texas Rangers' University Night when the team plays the Houston Astros at 6:15 p.m. Saturday, June 3, at Globe Life Park in Arlington. For more information or to purchase 20 or more tickets, contact Jeremy Christopher at (817) 273-5173 or jchristopher@texasrangers.com. 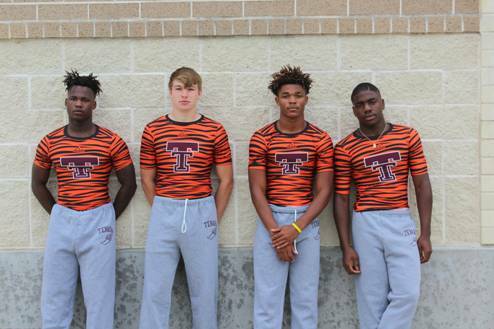 The Tenaha Tiger 800m Relay, Boys will be competing Saturday May 13, in the 2017 State Track and Field Track Meet. You can watch the meet live at NFHS Network.. Note: you have to pay for this if you want to watch..
Just click on Live Results. Gates will open an hour before the first event each day. Ticket sales are cash or check only. Please make checks payable to the University of Texas. ATMs are available on site and outside of Gate 4 of Mike A. Myers Stadium. There will be no re-entry for single session ticket holders. also won the Silver in the Javelin throw. Shelbyville High School will be holding Project Graduation this year on May 19, 2017. Project Graduation is a drug and alcohol free event that lasts all night. It provides a safe alternative for graduates who might otherwise be partying. It keeps graduates off the roads, prevents them from becoming an accident statistic, and gives their parents ease knowing their son/daughter is safely celebrating. Project Graduation originated in Maine in response to the deaths of twelve teenagers in related highway crashes. The idea of Project Graduation has spread across the nation during graduation and prom night, since these are the two deadliest nights for teenagers. Project Graduation has saved lives in many communities and schools across the state of Texas. The success of Project Graduation is in direct relation to the commitment of parents, school administration and staff, and community members and businesses. These volunteers donate their time and money to provide an exciting and memorable evening of fun and fellowship for the graduates with their classmates for the very last time. To make this event successful, we need donations from businesses and individuals like you in our area. We will recognize all businesses and individuals that contribute to this event in area publications. If you have any questions, please call me at (936) 598-7323 or Debbie Gilchrist at (936) 598-2641. We would appreciate donations by Wednesday, May 10, 2017. 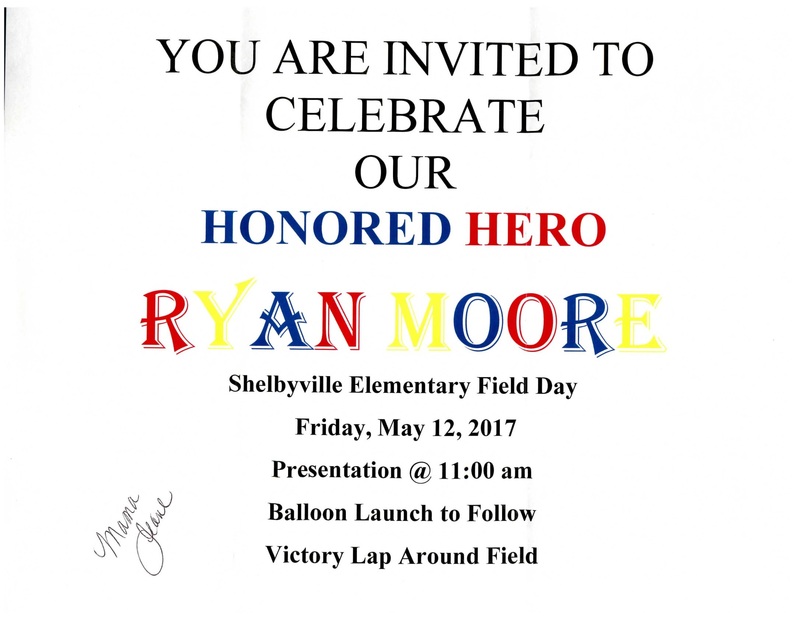 Thank you for your support of the students of Shelbyville High School. We appreciate our community and Shelby County for always providing! The Shelbyville Dragons will play Colmesneil in the Bi-District Playoffs in Hemphill in a best 2 out of 3 series. First game is May 4 @ 7:00 pm; Second game is Friday May 5 @7:00 pm and Saturday, May 6 @ 1:00 pm if necessary. 2pm and 4pm. So come out and support the Ponies. GO PONIES! Excelsior BETA club will be having a garage sell Saturday, May 6, 8:00 - 3:00 to help raise money for their students to attend National BETA convention in Orlando Florida. Please come out and help support our BETA. TMS Honor Roll - Attached in the fifth six weeks Timpson Middle School Honor Roll. Congratulations to students whose hard work earned them this distinction. THS Honor Roll - Attached is the fifth six weeks Timpson High School Honor Roll. Congratulations to all students who earned this distinction. Staff Spotlight – Mrs. Maureen Hunt works in the Timpson Elementary PAL reading lab. She works with individual and small groups on their reading skills. She has worked at Timpson ISD for a total of 18 years including this year. Her goal is for students to be on grade level or above in their reading skills but the most important thing is for them to make progress and develop self-confidence and to feel good about themselves. She first worked with Mrs. Gladys Simon in the math lab. Mrs. Hunt said Mrs. Simon was a true mentor to her. Not only did she learn teaching skills from Mrs. Simon but she also learned the importance of building relationships with students. Mrs. Hunt is an example of the saying “children don’t care how much you know until they know how much you care”. Mrs. Hunt gets to know each student on a personal level, speaks to them in the hall, encourages and supports them. She always displays kindness, encouragement and support when working with her students. This kind of attitude makes students look forward to coming to the lab and being ready to learn. She credits Mrs. Cindy Simmons with helping her become a better teacher and showing her skills that Mrs. Hunt has been able to successfully use with her students. Mrs. Hunt says the favorite part of her job is working with children. She says she wakes up each morning and looks forward to coming to school to see the children and work with them. Teaching is a job she truly loves and brings her much satisfaction. She looks at her job as a service to the children of our community. Mrs. Hunt is married to Dannie Hunt and they have an adult son Joseph that is a THS graduate. Mr. and Mrs. Hunt are also the proud grandparents of Sawyer. Mrs. Hunt we appreciate the love, care and support you show the students and for all you teach them. Staff Spotlight – Mrs. Kay Fodge works in the Timpson Elementary School PAL reading lab. This is her twentieth year working at TISD. She works with individual and small groups of students to assist them in mastering reading skills. 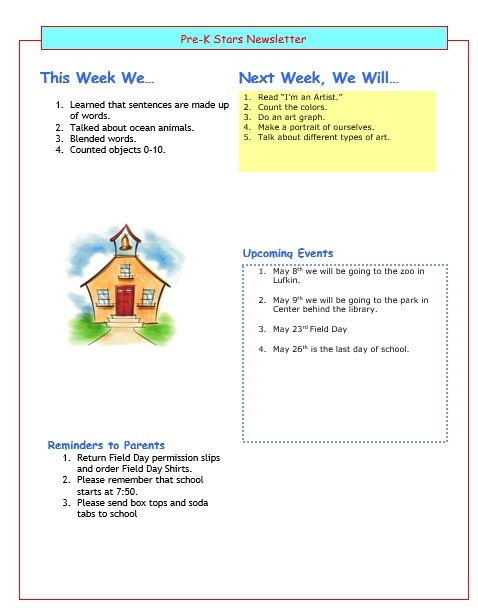 She uses a variety of methods to help students master phonics, reading comprehension and vocabulary skills. Mrs. Fodge also believes it is important to build confidence in her students so she provides encouragement and support along with her teaching. She encourages her students to do their best. Mrs. Fodge’s goal is to help all of her students make progress. The favorite part of her job is being able to work with all grade levels. She also enjoys getting to know her students on a personal level and watching them grow in self-confidence as they make progress in their reading skills. Mrs. Fodge is married to Mike Fodge, a pastor, and together they adopted and raised their three granddaughters who went to school in Timpson. Mrs. Fodge said her job helped she and her husband raise their granddaughters. She firmly believes God gave her this job after being a housewife for 30 years before working at Timpson Elementary. Her only regret is that she did not start working 10 years earlier. She credits the staff she works with including her former principal Ken Campbell, Tammy Sparks and Cindy Simmons for helping her develop her teaching skills and for everyone’s support and kindness with her granddaughters. Mrs. Fodge takes her job very seriously because she knows students must have good reading skills to be successful in school, college and the workforce. Thank you Mrs. Fodge for all you do for the students of Timpson Elementary School. THS Athletic Banquet - Timpson Athletic Banquet will be Monday, May 8, 2017 at 7:00 p.m. in the Good Hope Activity Center. No fee for Timpson High School athletes. No fee for Timpson High School athletes. They can pick up their ticket from Mrs. Tippett by Friday, May 5. Others may purchase tickets from high school office for $15 by May 5. Tickets after May 5 will be $20. Teacher Spotlight – Mrs. Cindy Simmons is the Timpson Elementary PAL lab reading teacher. She also works with 504, state assessment testing and instructional modeling. She worked at Timpson ISD as a kindergarten teacher in 2008-2010. After moving out of the area for a few years, she came back as quickly as she could and returned to TES in 2015 and taught second grade. She has worked in the PAL lab since the 2014-2015 school year. The favorite part of her job is working with the kids. Mrs. Simmons says it is so much fun watching her students grow in their learning and academic achievement throughout the year. She says teaching is a very gratifying job. Mrs. Simmons says that learning ever stops. She attends all professional development opportunities that she thinks will enhance her ability to teach. Many of those she attends are on her own time. She also stays after school most days to prepare for the next day’s lessons, work with students needing additional help or assist with teachers who request her help. She also stays after school to help with dances, meet the teacher night and with whatever needs to be done. Although she enjoys students of all ages, she has a special place in her heart for our youngest students in pre-k, kindergarten and first grades. She believes she can make the biggest difference with these students because by teaching them the learning skills of these grades such as phonics, reading and math the students will be ready for the later grade level instruction and will not fall behind. Mrs. Simmons assesses students on a regular basis to determine skills they have mastered and skills they need additional instruction on. This allows her to provide small group or individual instruction to better ensure students achieve true mastery of the skills that allow them to be successful. “A candle loses nothing by lighting another candle” is a quote that applies to Mrs. Simmons. Students light up in her classroom because she builds their confidence as well as their academic skills. Watching second graders take charge of their own learning while working on research projects reflects the kind of teacher Mrs. Simmons is. Not only does she teach students but teaches teachers as well who often rely on her experience and expertise to enhance their own skills. We appreciate Mrs. Simmons’ help and care for all those she touches through her dedication to our students and staff. Below is the schedule for this week’s spring league games. A special called meeting of the Board of Trustees of Center Independent School District (CISD) was held on Monday, May 1, 2017 beginning at 12:00 p.m. at Center Independent School District Administration Board Room located at located at 107 Private Road 605 in Center, Texas 75935. Matthew Mettauer gave the invocation and Casey Lout led the Pledges of Allegiance. Doug Whitt presented a financial profile of Center Independent School District to the members of the Board. A motion was made by Matthew Mettauer, seconded by Traci Willoughby to approve the Center ISD District of Innovation Plan. A motion was made by Casey Lout, seconded by Traci Willoughby to approve the 9 week Innovative 2017-2018 Master Calendar. Administration received one bid from Shelby Savings Bank (our current depository) pertaining to the depository contract. A motion was made by Matthew Mettauer, seconded by Traci Willoughby to approve the bank depository contract to Shelby Savings Bank for the period of September 1, 2017 to August 31, 2019. A motion was made by Traci Willoughby, seconded by Daphne LaRock to approve McKinnley/Golden as the architect on proposed urgent needs projects. Administration is still gathering data as well as waiting on specific information related to the TASB audit but wants to keep this information fresh as we move forward and begin the discussions for 2017-2018 budget. James Greer called for a closed session at 1:17 p.m. under Texas Government Code §551.074 for consideration of employment of contracted personnel, terminate probationary contracts, contract renewals for Administrators, teachers and certified support staff, resignation/retirement and extended emergency sick leave. The Board returned into open session at 2:05 p.m. No action was taken in closed session. 14.1.1 A motion was made by Traci Willoughby, seconded by Daphne LaRock to accept the resignations/retirements as recommended by Superintendent Hockenberry. 14.1.2 A motion was made by Daphne LaRock, seconded by Casey Lout to approve the employment of personnel as recommended by Superintendent Hockenberry. A motion was made by Traci Willoughby, seconded by Matthew Mettauer to adjourn the meeting at 2:10 p.m.
are set for 2pm and 4pm. Panola prevailed 9-7. Panola took the lead for good in the tenth inning. Lawson* singled off of Myers, driving in one run. singled in the first inning. three runs, three hits, and walking zero. surrendering three runs, four hits, striking out three, and walking one. grand slam in the fourth, and singled in the sixth. Kinkade, a groundout by Beavlaurier, and a single by Mendoza. fourth *Colby Price* hit a grand slam off of Ceaney, driving in four runs. innings, allowing five runs, eight hits, striking out six, and walking one. doubled in the fifth, singled in the fifth, and homered in the seventh. and *Colby Price* singled, driving in two runs. five runs, eight hits, striking out eight, and walking zero. inning, and *Logan Berlof* homered in the fourth inning. in the three game sweep of Paris Junior College. Game Three: Thirty minutes following Game 2, if necessary. undrafted free agent to attend their training camp later this spring. football. He also racked up two state track meet gold medals along the way. earned his degree in Business at Texas Tech University last summer. Good Luck Reginald!!! The Tiger Nation is behind you. state competitor in Track and Field was sprinter Courtney Edwards in 2013.
finishing 6th in the Discus. Well Done All and Good Luck at State !!! Medalist in the 400 M Dash. 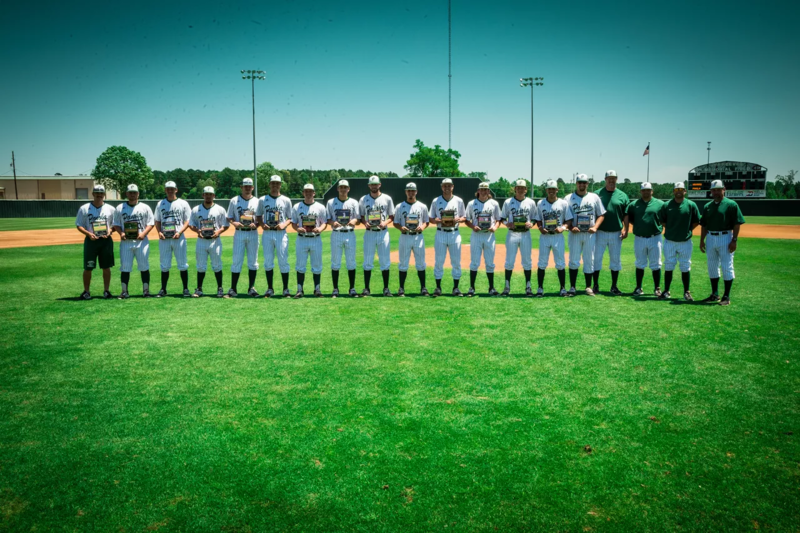 The Center varsity baseball team has a home game vs. Kilgore on Friday, May 5 @ 7p. The Joaquin varsity baseball team has aplayoff game vs. Chireno on Friday, May 5 @ 5p. Congradulation to Joaquin girls softball team they have progessed to the area playoffs. and assistant director is Christy Unthank. The Joaquin Lady Rams advanced to the Area round of the Class 2A State Softball Playoffs with a pair of wins over the Latexo Lady Tigers in the Bi-District Round. On Friday evening at Nacogdoches High School, the Lady Rams rode a one-hit performance by sophomore pitcher Lexi Hutchins to a 7-0 victory. The Lady Rams pounded out eight hits in the game, including a triple and a single by Hutchins, a double and a single by Laney Stanley, and base hits by Lilly Welch and Alli Harper. On Saturday, the Lady Rams jumped out to a 7-0 lead by the fourth inning before coasting to a 8-2 win to sweep the Lady Tigers. The Lady Rams will now move on to the Area Round, where they will take on the West Sabine Lady Tigers. West Sabine swept Groveton in a best of three series on Friday and Saturday. Dates, times, and location for the Area playoff will be released later this week.